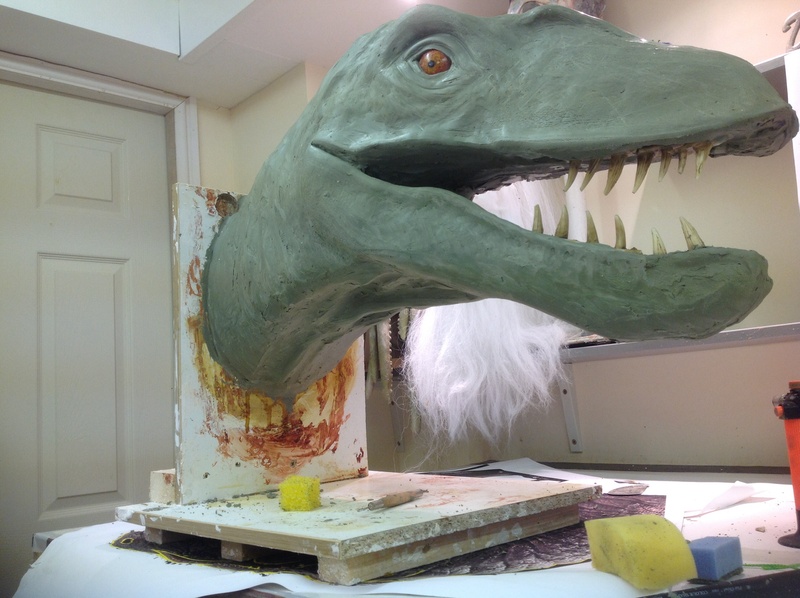 I want a jurassic park velociraptor head mounted on my wall, posed as if it's just crashed through the wall. Im hoping that it will be made as near full size as possible, eventually made from latex to give the feel etc. 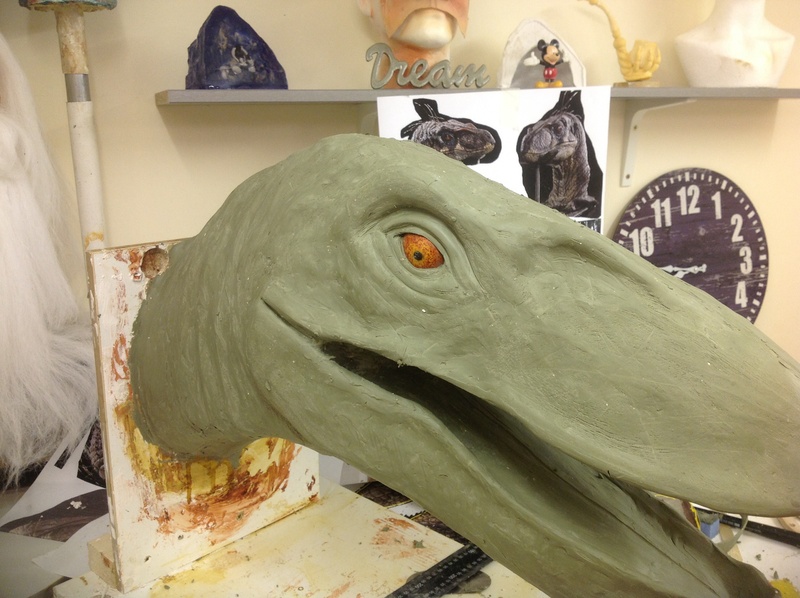 I managed to track down an auction entry of a screen used JP velociraptor head puppet, used in the film. It had high res photos of the head, and using my large format HP plotter, allowed me to print the head full size for reference sizes etc. 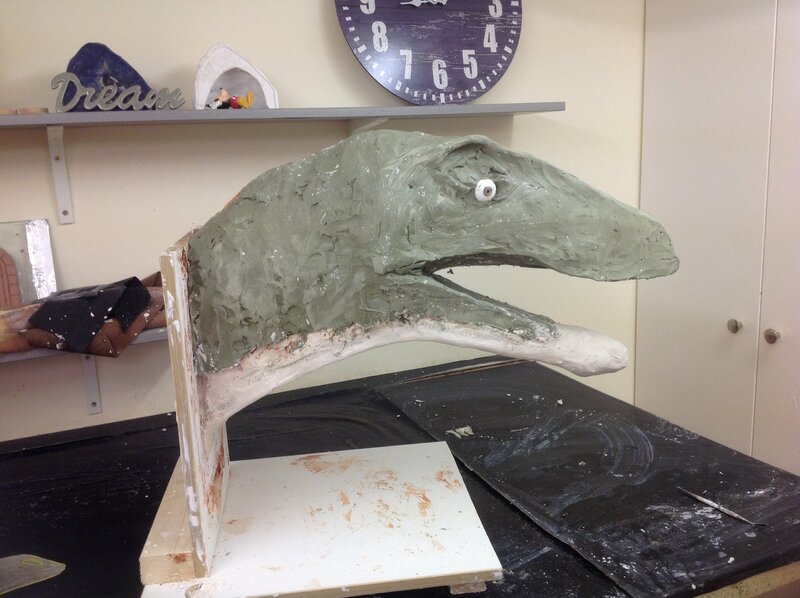 The armature, I made from timber, foam and plaster. I got it all done, but after applying the clay, the proportions were out of wack. 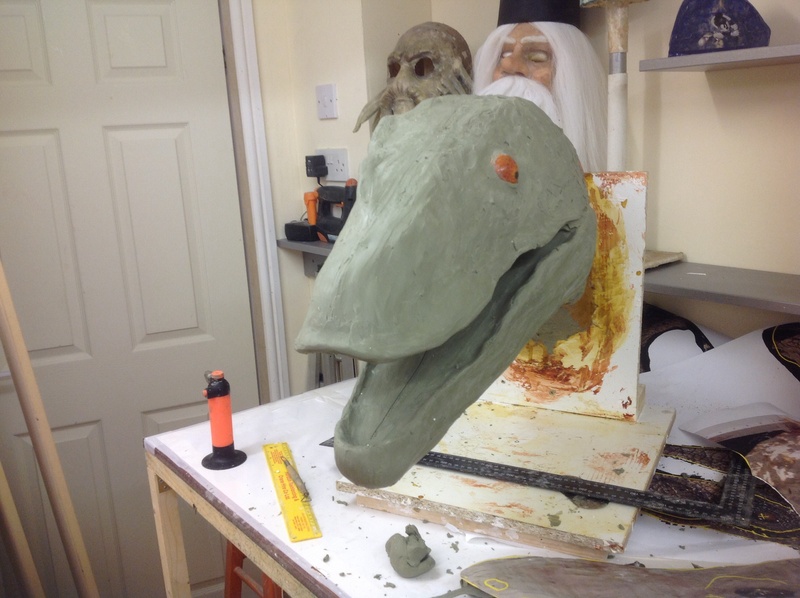 sooooo, had to strip the clay back a bit, and attacked the armature with a sabre saw. I'll get it resealed and clayed up, before setting out the detailing. 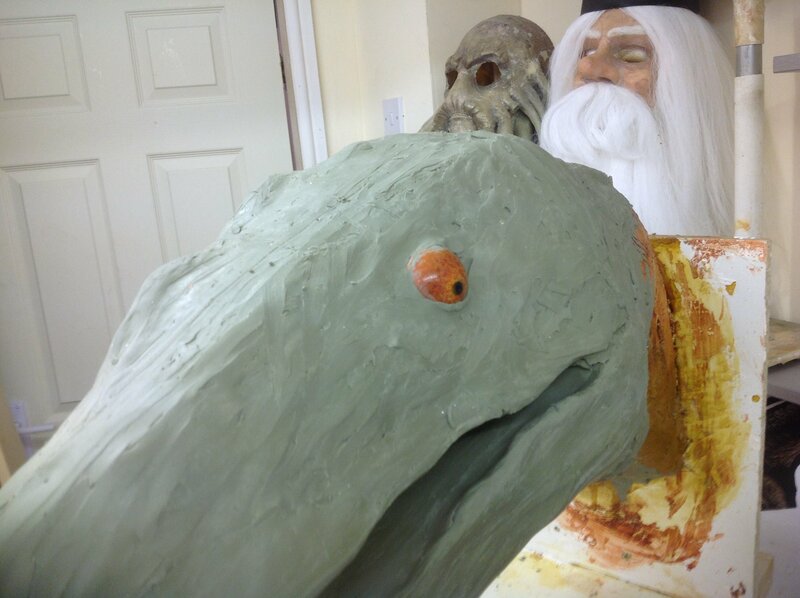 The eye is one I had lying around ( as you do) , but it will be changed later. This is some teeth, sculpted in hard chavant clay. 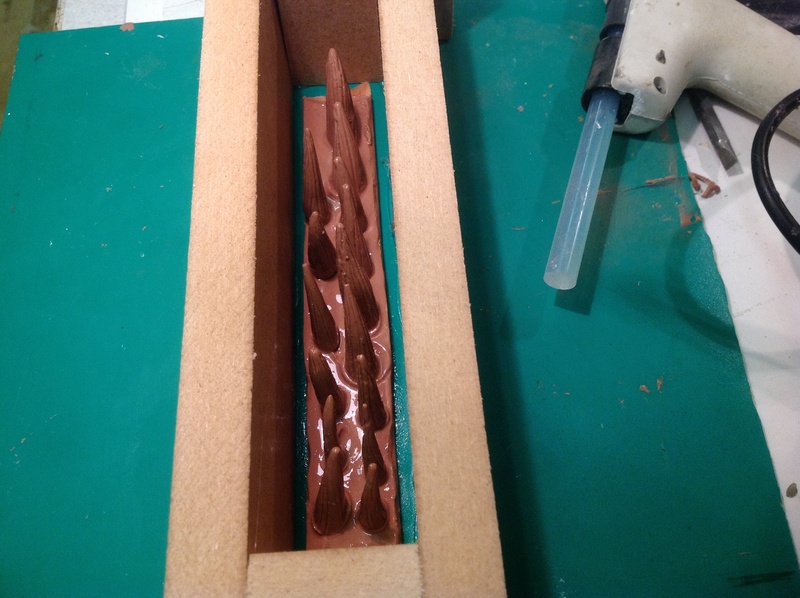 They've been coated in clear lacquer ready for silicon moulding. Very cool project, looks like a lot of fun! Added some more detail around the eye, built out the neck a bit,and added some loose "skin " detail under the neck. 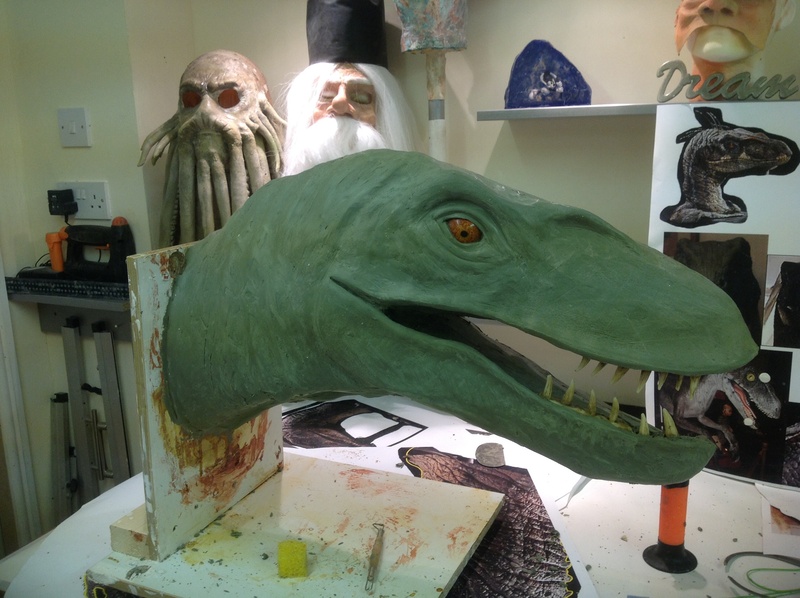 Started filling in the left side of the head, and cleaned up the inside of the mouth. Added the left eye etc, and flattened of some surfaces.